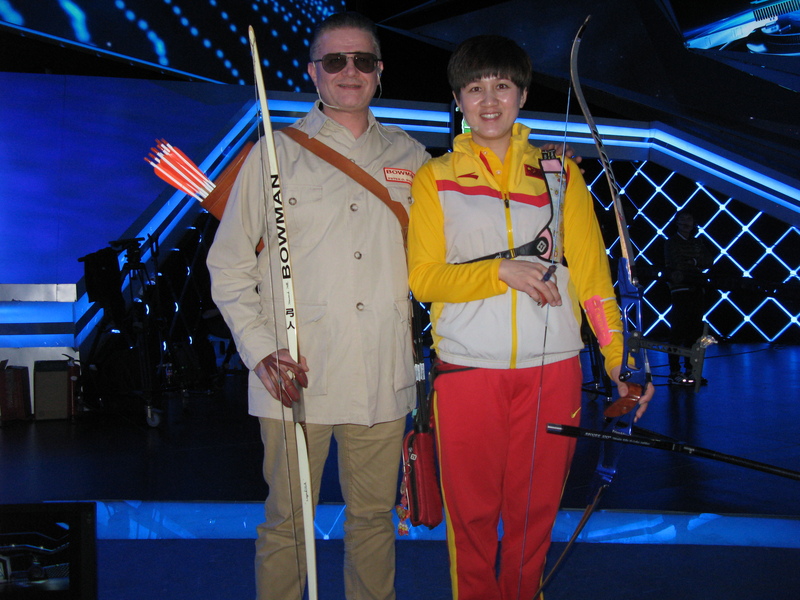 First recorded competition in history: Olympic Games Winner 2008 Zhang Juanjuan, China, vs. Classic Bowman Peter O. Stecher, Austria: 弓人 Bowman Show, Nanjing, China, 2015, „Chao Ji Zhan Dui Show“ – „Mission Impossible Show“. 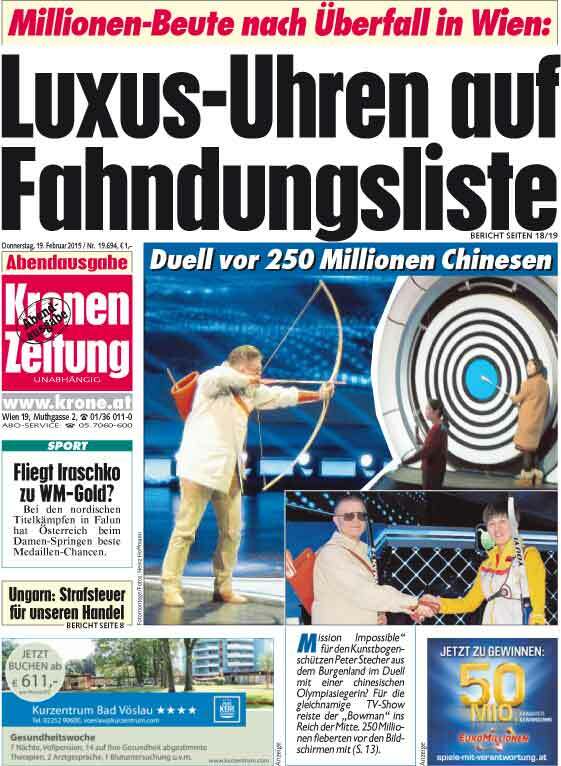 Olympic Games Winner 2008 Zhang Juanjuan, Austrian Bowman Peter O. Stecher used Tophat Archery, The Burt Coyote Co.Lumenok, Schmeisser Archery , Gateway Feathers, Howard Hill Archery, Targetpanic and Hutmacher Zapf equipment. Show star guests: Zhu Dan, Xiong Dailin, Cao Ge. Show Director: Zhu Zhao Wei, Outdoor Director: Gong An, Translator: Wang Sudong. Camera work: Heinz Hoffmann, 2015.